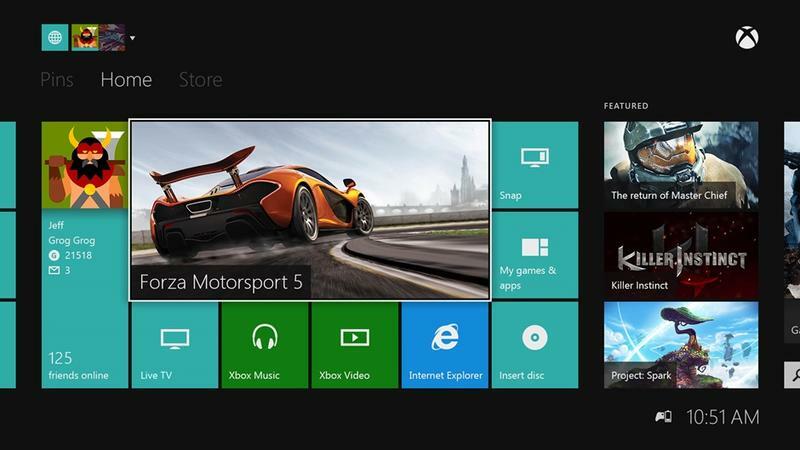 Microsoft has delayed an update to the Xbox One operating system originally scheduled for Tuesday, Feb. 11. We'll give them a little slack though; it's still coming this week. In a post on Xbox Wire, Chief Product Officer Marc Whitten wrote, "this week marks a big week for Xbox One as we start to roll out our first product update," and segued into news about the March update saying that "while we're thrilled to launch the February update this week, we're already looking ahead to March." Whitten pointed again to improvements to Kinect voice commands as a major element of this update, though we know everyone is really stoked about the battery indicator (shown by the clock in the image above). The March update mostly concerns social features. The friends list will be at the front of the Friends app on the system following the update, rather than the activity feed. Party chat will will be turned on by default. Party chat will be separated from game chat now, so that you can play one game and chat with friends in another. The option to invite friends to your game will appear in multiplayer titles moving forward. Finally, a Recent Players list will be added. So far, this is pretty much all stuff the Xbox 360 already does. It's frustrating to have to get this in a product update, but it'll be good to have it all the same. Whitten adds that there are additional features coming as part of that update that will be revealed in the twenty-some days between now and then.